On the occasion of his participation at the 10th ICOAF, EUROMIL President Emmanuel Jacob had the opportunity to meet a delegation of the South African Security Forces Union (SASFU). Already in the past, EUROMIL was in contact with military trade unions from South Africa and it was a good occasion to share information between both associations. In May 1999, the South African Constitutional Court cleared the way for labour rights and the introduction of trade union rights in the South African armed forces. 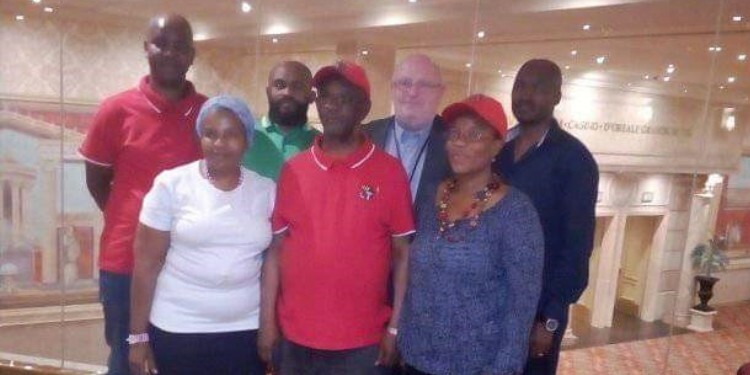 Meanwhile, two military trade unions were established – the South African National Defence Force Union (SANDU), which the President could unfortunately not meet at this occasion) and the South African Security Forces Union (SASFU). But the way towards real representation of the members of the South African National Defence Force (SANDF) was and is not a walk in the park. Still today, the military trade unions are not called to participate at collective bargaining and the South African military and political authorities do everything in their power to make the unions work impossible. Creating internal structures to avoid a real social dialogue and intimidation of trade union leaders as well as their members, are tools that are frequently used in South Africa to make sure that military trade unions have difficulties representing their members. Some of these deplorable situations are comparable with what EUROMIL and its members, anno 2018, unfortunately also still witness in Europe. Just like EUROMIL already did in the past with colleagues from South America, the organisation will also in this case show its moral support and inform important stakeholders on the problems that our South African colleagues are facing. Only a strong solidarity among military associations and trade unions can help to make them all true representatives in benefit of our soldiers, their families and the defence forces as a whole!